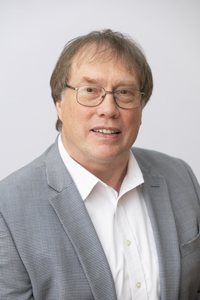 Colin has a degree in Applied Physics (1979) and was awarded a PhD for his work on spread spectrum local area networks (1985); both degrees were from the University of Durham, UK. During the past 40 years he has worked in both the academic and the industrial world. He was a lecturer at the Universities of Durham and Surrey, worked for several years at Logica Ltd., was the founder and managing director of the systems consultancy Hyperion Systems Ltd and is currently a Director and Principal Consultant at Dunelm Services Limited. From 1992-1999 he was a member of the Department of Computer Science at the University of Sheffield, UK where he was Head of Department and Chair of Computer Science. Since October 1999 Colin has been consulting for the IMS Global Learning Consortium Inc. He is currently the IMS Chief Architect and as such he is responsible for the managing the development and maintenance of the full suite of IMS specifications. During the last twenty years he has worked on a number of public and private sector e-learning projects. In 1999 he was made a Fellow of the British Computer Society and became a Chartered Engineer.